Who are the Fertilizer Dealers and Suppliers in Uganda? Twiga Chemical Industries (U) Ltd.
What is the best way in Which fertilizers are used in Uganda? For years myths have emerged about the wonders of fertilizers. The pre war estate lead-gardeners have had their secret potions. Currently everything grown in the garden has something to feed it. Before roots absorb the nutrients, they have to reduce them to simple compounds. Meaning that all the nutrients found in a liquid fertilizer have organic salts that available for immediate absorption by the plant roots, while the nutrients found in the clumsily ground-organic mixture may take months to be released. Factually, the time to release the nutrients into the ground will depend on the type of the soil, the plants and the season. No particular fertilizer can provide all desired nutrients. It is agreed by the majority of the garden experts that nitrogen, potash and phosphates are a necessity in the soil. These minerals can be found in both organic and inorganic fertilizers. It is also believed that they have different purposes which are very important. These fertilizers are produced from either plants or animals. They majorly provide nitrogen which nitrogen is converted into an inorganic nitrogen compound before it is absorbed by the plant roots. The Nitrogen Fixing Bacteria does this conversion, however these bacteria are inactive in acidic, waterlogged or cold soils, meaning that their speed of reaction will depend on the condition of the soils. Some of these fertilizers contain minerals that were extracted from different resources of the earth. 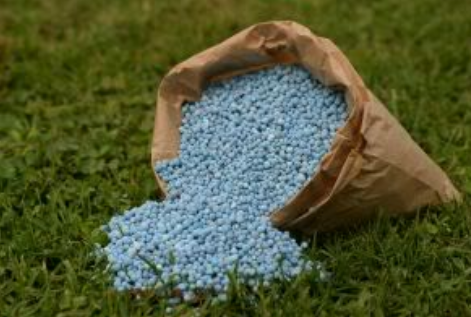 Others have also been manufactured and are called synthetic or artificial fertilizers. Surprisingly, plants can differentiate between the two types of fertilizers. They are all broken down into the same compounds before being absorbed by the plant roots. However, inorganic fertilizers are fast reacting and boost plant growth when used as a top-dressing. They are less inexpensive as compared to the organic ones and have become more popularly used in the recent years by farmers. Bone meal has remained a favorite among the available inorganic fertilizers. We proudly take this opportunity to introduce ourselves as one of the leading Manufacturer and Exporter of ORGANIC FERTILIZER in India with an ISO 9001:2008 and ISO 14001:2004 certification, registered under the trade marks of SHREE NARMADA ORGANIC FERTILIZER & “BIO GOLD”. Our Organic Products are accredited by NOCA. Our group of companies M/s. National Organic Fertilizer is engaged in the manufacturing of Organic Products, whereas M/s Narmada Bio-chem Pvt.Ltd. is involved in the manufacturing of different grades of NPK Mixed Fertilizers in the trade name of HIMALAY and other fertilizers soil conditioner like Ca : Mg : S (POWER GOLD), Bentonet Sulphur, Crowin-Magnesium Sulphate (MgSO4) & Narmada Biozyme G.
Our production capacity per day is 1500 MTs. Presently we are exporting our products to UAE, Oman, Lebanon, Yemen, South Africa, Brazil, Ghana, Belgium, Malaysia etc. We would be able to offer you good quality products with internationally competitive price and timely delivery. Please send us your enquiry for your requirement enables us to serve you better. we are interested to purchase Fertilizer in a bulk quantity so kindly send us your product offer as soon as possible. Regrad.George Wiliams.